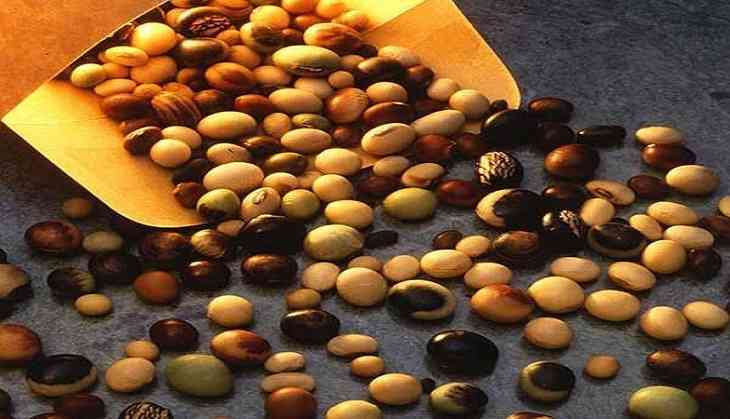 Soybean , which is a major source of protein has different varieties which vary from genetics, growing conditions and processing and all these factors can affect the nutritional value of soybean meal produced in different places. Research from the University of Illinois is helping swine producers know what they're getting when they buy soybean meal from different countries. The largest producers of soybean meal in the world are China, Argentina, Brazil, the United States, and India. In many swine-producing countries around the world, soybean meal is imported from one of these five countries and buyers can choose among them. Until now, however, there has been very limited data to compare the compositional and nutritional value to pigs of soybean meal produced in different countries. Hans H. Stein, professor of nutrition in the Department of Animal Sciences at U of I, conducted an experiment to compare the nutritional composition and amino acid digestibility by pigs using soybean meal produced in the five major soybean-producing countries. Stein and Ph. D. student Vanessa Lagos collected five sources of soybean meal each from China, Argentina, Brazil, and the United States, and four sources from India. They then fed diets containing the 24 soybean meal sources to growing barrows. The data indicated that the amount of digestible protein and amino acids was greater in soybean meal from the United States, India, and Brazil than in soybean meal from Argentina or China," Stein reports. Soybean meal from Brazil and India had the greatest concentration of crude protein and amino acids, he says. However, the standardized ideal digestibility of crude protein and amino acids was greatest in soybean meal from the United States. Stein says that in the global economy, feed ingredients may be sourced from a number of different sources. "It's important to know that the nutritional value of soybean meal produced in different countries may be different, and to take those differences into account when making decisions about purchasing and diet formulations. Results of this experiment indicating that the concentration of digestible amino acids is less in soybean meal sourced from Argentina or China than in soybean meal from the United States gives international buyers increased information to base purchasing decisions on." U.S. Soybean Export Council (USSEC) chairman Jim Miller says the results of this study echo USSEC's strategy of building a preference for U.S. soy around the world. "We have boots on the ground in six global regions to educate our customers on the intrinsic and extrinsic advantages of U.S. soy using the latest research and information," he explains. "U.S farmers have always believed that our product is very consistent, and Dr. Stein's study proves that soybean meal from the U.S. has less variability in both composition and digestibility." Photos: Kajal Aggarwal is such a fashionista. Were we undermining her style game till now?